In its bid to expand consistently in the fields of hospitality and travel, panoramic group has continued its acquisitions of branded properties at strategic tourist locations. To name a few the group has acquired following resorts namely United-21 Grassland resort at Kaziranga and United-21 resort at Kodaikanal previously popular as summer migration kodaikanal. Prior to these two other acquisitions were, United-21 Jungle resort at Pench, United 21 Paradise at Ooty and United-21 Tiger resort at Kanha. 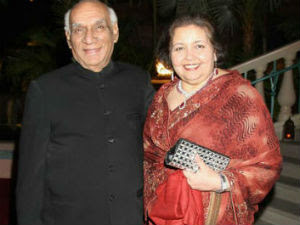 Total credit goes to our dynamic directors and the way they plan expansion of the group. The prime motto behind these acquisitions is to provide local as well international travelers a perfect base to land at some of the most popular tourist destinations in India. 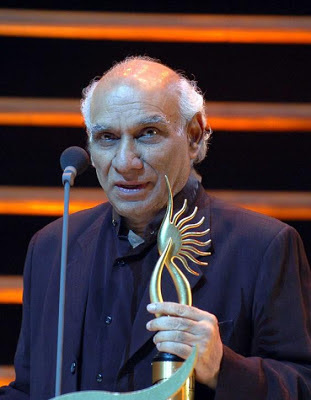 These acquisitions are going to add value to the groups two giant travel portals travelhot.in and travel universally. Addition of more and more properties to the list of our outstanding resorts in India and abroad is continued for providing more options to our customers who are booking vacations through one of these online travel portals. 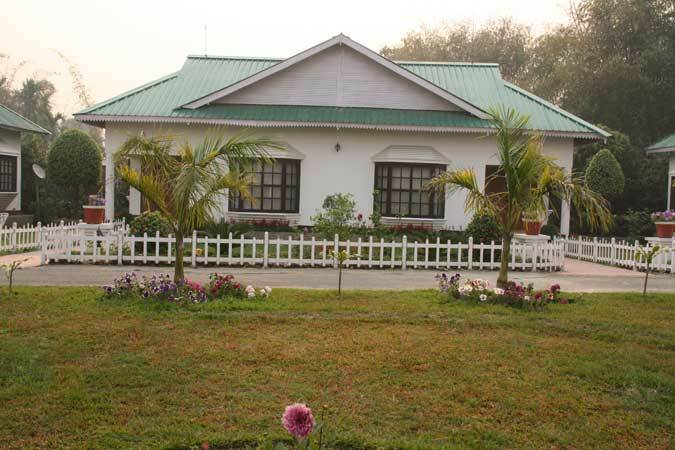 United-21 Grassland resort at Kaziranga previously known as Grassland Kaziranga is located at a convenient location near Bagori range in Harmoti, which can be easily approached from Guwahati & Jorhat. 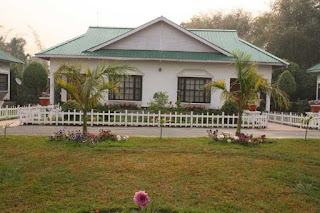 Tourists visiting this resort will be welcomed with stay amidst natures splendors, served with fine cuisine and an all time assistance to avail bewitching safaris taking you to the inside of the dense forests. 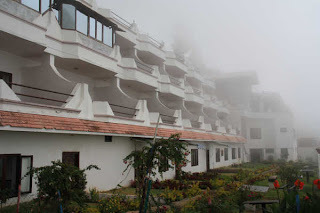 United-21 resort at Kodaikanal previously popular as summer migration kodaikanal is a splendor located just three km from the beautiful Kodai Lake. It is located on a mid level of a hillock which offers serene views of the splendid surrounding region from the balconies. It provides classic accommodation and fine dining experience to its visitors. 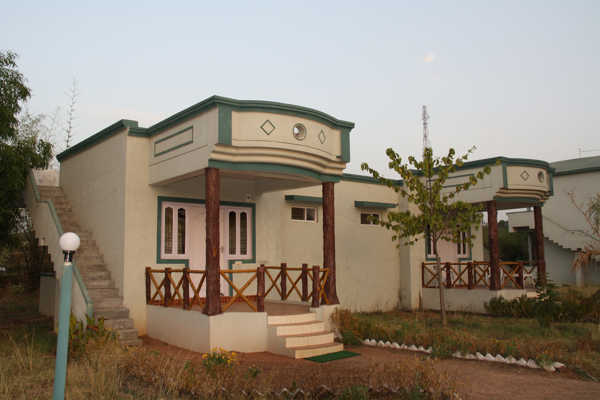 United-21 Jungle resort at Pench and United-21 Tiger habitat at Kanha are both located in the dense jungles of Madhya Pradesh popular among the tourists for its impressive wild life as well as its fascinating wild life tours. Luxury resort at Pench located near Turia gate offers swimming pool in addition to the well adorned facilities of a luxury stay and sumptuous dining arrangements. Tiger resort at Kanha offers every opportunity to come across the rare species, Bengal tiger and many other sparsely found wild animals. The group’s foresight is seen in acquiring these unique properties at different locations spread across the country and to include them under the banner of United-21 brand of hotels and resorts. With this rate of acquisitions at one stage we will be able to announce the existence of our hotels and resorts at nearly all the prime tourist locations. It will be benefiting our customers as they can rely on the brand name United-21 for a colossal service and support at these destinations. At the same time it will build a reputation about the group of having its own hotels and resorts at major tourist locations. These resorts and hotels will be buzzed up with events and celebrations throughout the year. We will keep on updating you about new acquisitions in future also so that you can plan your vacations at these newly acquired properties of the group. Our groups another important venture in time share is Magic holidays offering holidays at worlds well known resorts and tourist destinations. Visit our travel portals and gather more travel related information which will surely be useful to plan your holidays. Amidst green natural surroundings and a peaceful environment of Matheran, any weary traveller would feel relaxed and extremely rejuvenated. This beautiful hill-station was discovered in mid-nineteenth century by a British Officer called Hugh Mallet. It gets plenty of visitors every year who leave behind their stressful routines and have a great time in its picturesque locations. Matheran has been kept free from pollution by banning the entry of vehicles in the region by authorities. But, a ride in toy train can take tourists on an exciting ride through vast greenery of this hill-station. This historic train service was started in the early twentieth century by entrepreneur Abdul Hussain Peerbhoy. Three years were spent constructing this train line with the help of a famous British engineer called Everard Calthrop. 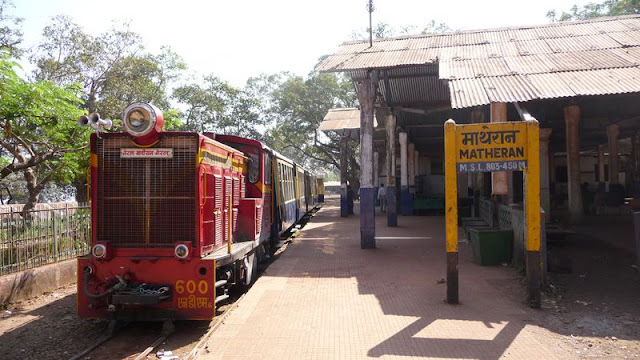 Today, it has become a delight for many tourists visiting Matheran along with their friends or family members. Four small-sized trains are a part of this train service and run every day along its route. Each of these trains has a capacity of carrying around one hundred passengers. Tourists who wish to have a comfortable journey can book a seat in first class compartment which has elegant and comfortable seats. 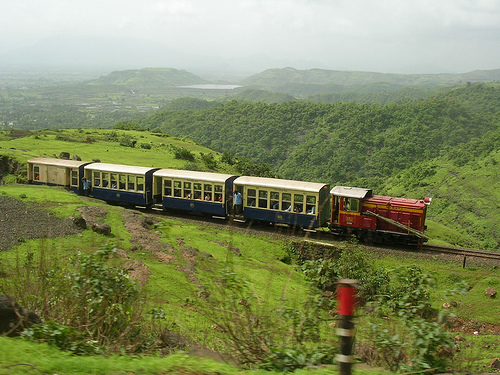 The toy train of Matheran moves at much slower pace in a zigzag way as the region has steep slope. Going further, travellers can witness a gradual change in landscape from slopes covered with grass to a hilly region full of trees. During its journey, these trains also pass through a short tunnel which is known as 'One Kiss Tunnel'. Snacks or drinks can be purchased from vendors who get into these trains for selling these items. They get on and off these trains, even while its moving, which is an indication of the slow pace at which the trains travel. Stops are made at a couple of stations where refreshments are available. Frequency of these trains is lesser during monsoons when the region gets plenty of rainfall and extreme weather conditions prevail. Booking an accommodation at Panoramic Resort in Karnala through Magic Holidays can provide an opportunity for tourists to experience the magic of this train journey as Matheran is just a few kilometres away from it. Timings of departure from Neral station and Matheran are comfortable, but frequent changes are made to its timetable. It is always better to check for timings online or at the computerized reservation counter of Railways. Ticket prices are very reasonable, but bookings have to be made in advance as seats get filled up in no time. This is especially true during peak seasons when tourists from nearest cities visit Matheran in great numbers. Booking a stay at Panoramic Resort, Karnala, online on Magic Holidays can be a good way to experience this amazing train journey in Matheran. This hill-station is located very close to this resort and tourists can reach Neral station within a short period of time. In addition to luxurious accommodations, the resort also has plenty of facilities and modern amenities for its guests.